Since the arrival of Jollibee in Canada, a lot of questions about Jollibee branches opening in other provinces has been asked around. 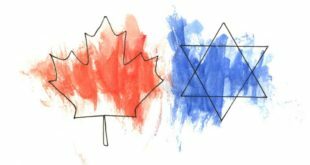 Numerous speculations and false predictions have been made because these fuel the hopes of the Pinoys in Canada. They all want to be closer to their Jolly favorites as it makes them feel closer to home. Manitoba is very fortunate to have the first 2 branches, both in Winnipeg. With the growing Filipino communities in Canada, it is expected for the Filipino favorite fast-food chain, Jollibee, to expand as well. 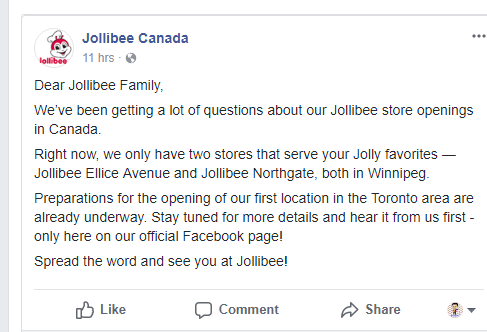 Finally, Jollibee Canada has made an official statement in their recent post on the official Jollibee Canada Facebook Page. Toronto will be having their own Jollibee branch targeting a spring launch! This is exciting news for our fellow kababayans. Now, they know that their Jollibee favorites will be available closer to them in the near future. 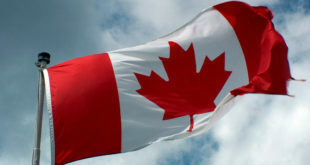 As for the other provinces, Ontario will be having its first branch opening this year in Mississauga located inside the soon-to-open Seafood City in Heartland Town Centre. Also, Edmonton might be having their Jollibee branch opening in 2019. However, there are no words about a branch opening in Quebec but Jollibee has been reportedly looking into it. Share your excitement with us! Join our discussion when you like our official Facebook page link. Next 7 Steps on How to Do your OWN Taxes!